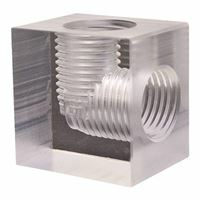 90 Degree Fitting Adapter. Made of Acrylic. Requires two G 1/4 Thread fittings (not included).